Add sophisticated style to your home with this ANZZI Forte Series vessel sink with a Fann faucet in brushed nickel. 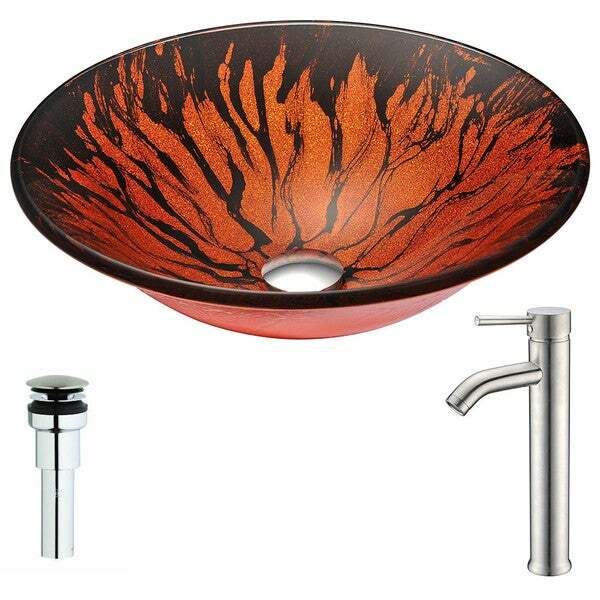 This beautiful top-mount sink features a RHINO ALLOY certified tempered deco-glass construction with a lustrous red and black finish for style and durability. This low-maintenance sink is easy to clean and has a scratch-tough and stain-resistant non-porous surface to keep it looking great for years.